Great quality product looks nice in our coastal home! Dimensions 88.0 In. X 68.0 In. X 0.1 In. 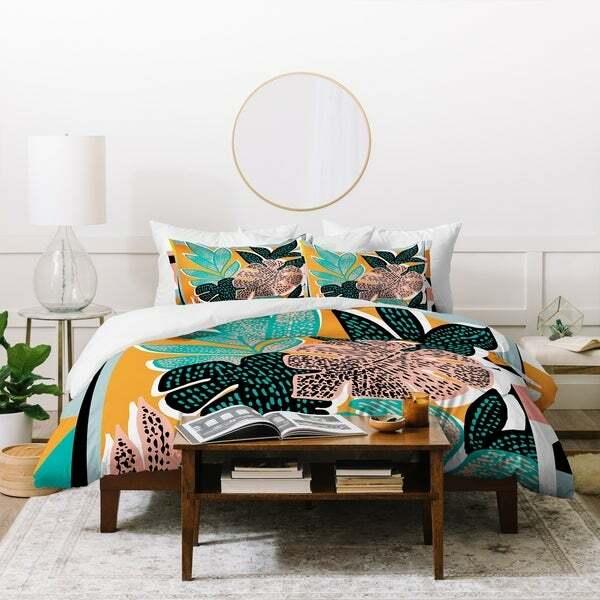 The Gabriela Fuente Tropicanna Duvet Cover Set is good quality. I only give it 4 stars because there is quite a bit more pink in the comforter than I excepted. This duvet cover washes well in a standard washer and dryer, so I am happy to say pet hair is now at a minimum with regular washing. It’s very lightweight, thin like bed sheets.